There’re several blogging platforms, but WordPress is our favorite. Do you know why it is more popular than others? It is easy to use, we know. The Huge resource of themes and plugins is another main reason. We will get themes of any kind on the web across free and premium categories. You must be familiar with one more category. Free premium. Some websites offer you premium contents at free of cost. It may be a theme or plugin. You need to pay if you are going to buy it from the official website. As free, you will download the content immediately and start using it. Do you know what’s the benefit for such websites in providing free premium products? No one will do such a favor without any benefit. Right? They grabbed some products illegally and want to hand over to you. It’s like theft. It’s difficult to steal items from a professional web store. So they must be hackers or cybercriminals. No doubt, they will do the same job with you. Criminals may insert malicious codes in freemium contents which are normally difficult to find out. As a result of that, they can trace your admin activities and hack the website when needed. 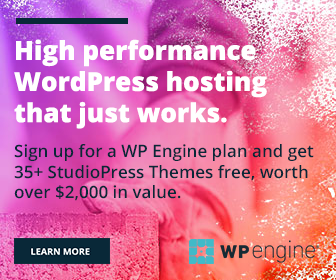 Are you using any freemium themes or plugins on your site? How do you know whether it contains any hacking script or not? Upload the files in zip format. It will scan them and show the results within a couple of seconds. Scan your website with various antivirus programs. You can do it online by typing URL of the site. There are some plugins that let you scan themes and plugins for malware. They will scan your site at scheduled intervals and alert you if any suspicious code found. This plugin will scan your website for malware, trojans, viruses, spyware, suspicious codes, external links and much more. It will check whether your website is blacklisted by Google and other blacklisting authorities. It searches the source files of every installed theme. If such code is found, TAC displays the path to the theme file, the line number, and a small snippet of the suspect code. It monitors your file system for any changes and notifies you via email or admin area. The report will contain the modification date, file size, contents, permission, detected time etc. It will help you to fix plugin vulnerabilities and obsolete software issues. It can prevent brute force attacks and ban troublesome user agents, bots etc. It Scans WordPress sites for new and complex malware as well as Cleans malware and backdoors from hacked sites. It comes with a Firewall and other features like Site Management, Website Hardening, White-Labeling & Client Reports. This is an excellent plugin to protect your WordPress site from hacking attempts and code injections. It will scan the entire site like posts, pages, plugins, comments etc let you know if something suspicious found. WP Antivirus Site Protection is another WP tool to detect and fix viruses, malicious codes in your site. It is a powerful option to find trojans, backdoors, rootkits, worms, spyware, hidden links, redirection etc. inserted anywhere on the WordPress site. It is one of the essential plugins to enhance your blog security. BulletProof security has several advanced features- login security and monitoring, brute force security detection, maintenance mode, optimized performance etc. In addition to all these, you can ask directly to Google about the security status of the site. Just replace ‘bloggingtriggers’ with your URL.